MOSCOW, July 31. /TASS/. The Petersburg mountaineer Alexander Gukov, who was blocked for several days on the slope of the Latok-1 mountain in Pakistan, has been rescued and taken to a hospital, Anna Piunova coordinator of the rescue team told TASS. 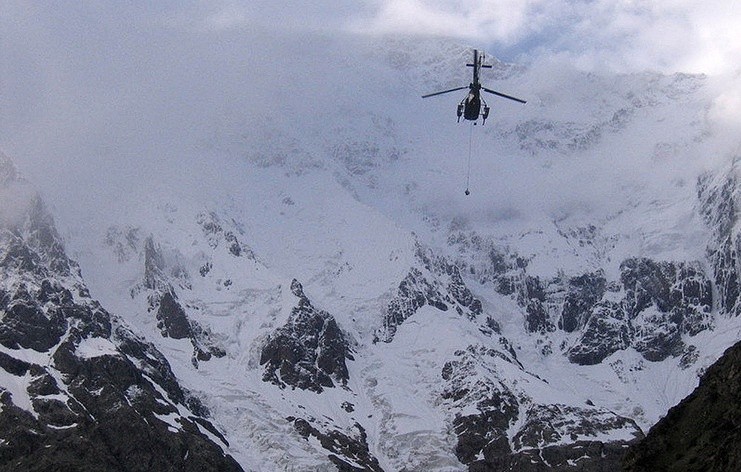 "He was rescued, they are flying to the hospital of city of Skardu," Piunova said. She added that the rescue operation involved two Pakistani military helicopters. According to the information from the Russian embassy in Islamabad, the mountaineer is now in critical condition in hospital. Earlier it was reported that Gukov and Sergei Glazunov from Irkutsk were blocked on a steep slope. Later, it became known from the base camp that Glazunov fell down and died. Gukov managed to gain a foothold at an altitude of 6,200 meters. He remained there almost without equipment, most of which was lost when his partner fell. According to the website of the Mountaineering Federation of Russia, Glazunov and Gukov were among the participants of the expedition that planned to make an ascent to the top of Latok-1 in Pakistan in the summer of 2018 for making a film titled "Impossible is not forever." The team first attempted to climb to the top of the mountain in 2017, but then the weather hampered the ascent. Latok-1 is part of the Karakoram range in Pakistan. It is height is about 7,150 meters. As the alpinists noted in description of their project on the crowdfunding platform where they collected money for the expedition, nobody managed to climb it from a steep northern wall earlier. In the summer of 1978, a group of American mountaineers climbed to an altitude of 7,000 meters, but was forced to descend without reaching the top. So far no other team climbed higher than that team.